Before I had children, I always thought actually having children wouldn’t stop me travelling and most of all snowboarding. Fast forward 10 years and my poor snowboard, lovingly stored in the loft covered in wax finally hit the slopes again. We had quite low expectations for our first holiday regarding the amount of skiing and snowboarding we would actually get to do and were just so grateful to be actually be back on a mountain in Winter that we didn’t mind not having much child free slope time. I didn’t look into childcare at all, but I’m sure there are many options if you choose that route. 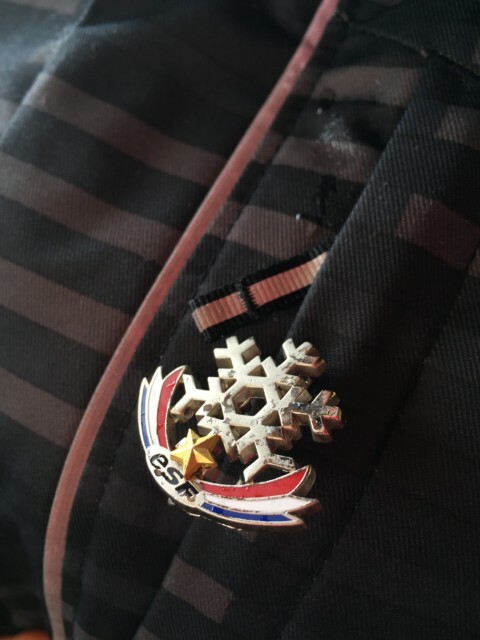 We booked the kids in private ski lessons with ESF for two hours a day and were happy to ski with the kids wherever they were comfortable for the rest of the time. Research the mountain. 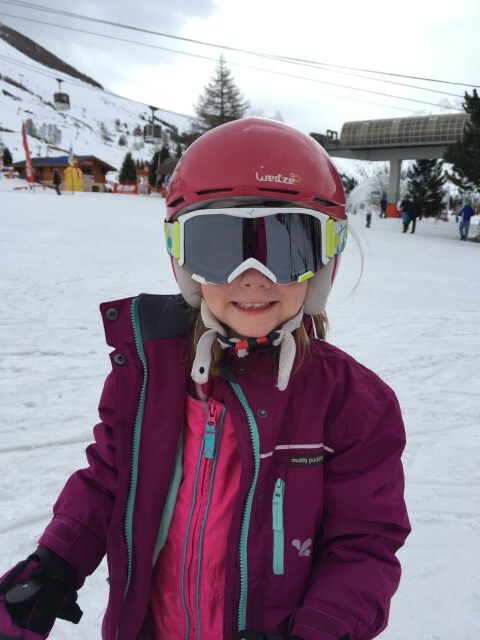 Les Deux Alps was great for beginners as it had several free to access nursery slopes that easily kept my daughters happy for the first 4 days and meant we didn’t need to buy a week long lift pass for them. I have to admit to being quite a nervous parent, but the nursery slopes felt very safe, the button lifts were easy enough for the children to use alone and the staff manning the lifts were lovely and helpful. I’d also recommend studying a piste map carefully before you arrive and planning safe routes for children once they are more able and also planning your own ski routes if time is limited. If you haven’t skied or snowboarded for a long time, start slowly! My first experience with my board was my husband taking me on a very fast, steep button lift, which I managed to fall off halfway up, knocking my confidence a little. If you’re not staying in a ski-in ski-out location, consider hiring a locker to store boots and skis, we found the children were desperate to get their boots off after an afternoon skiing and just being able to drop everything off at our locker and then take an easy, leisurely walk back to our hotel made the end of the day much easier. If you’re not confident, book a a refresher lesson. I hadn’t snowboarded for 10 years so would have really benefitted from a refresher lesson, especially as I didn’t have time to find my feet as I was helping the children a lot of the time. Book ski lessons for children. We decided private lessons would be best for our three, which worked out really well. Their instructor was lovely and all three progressed massively through the week. After a few days we found Zak ( age 9 ) was quite far in front of his sisters ability wise so split the lesson in half, the girls had the first hour together and Zak the second hour alone. Zak was very pleased to gain his 1 star badge and I think was quite close to getting the 2 star. Take snacks and drinks, we found the children were very hungry while skiing and it saved us a lot of money having pockets filled with healthy snacks and treats to keep everyone going. Be prepared for the weather, we packed the obvious sun cream, goggles and thermals, but actually in April it was so warm we only needed T-shirts under ski jackets. Do you have any more tips for us? We stayed at the recently renovated Hôtel Ibiza courtesy of Madame Vacances. Prices start from £319pp based on two people sharing on a half board basis. We stated at the Hotel Ibiza this season and used ESF too (although the kids had group lessons). Loved the place. Great tips. Some great tips! 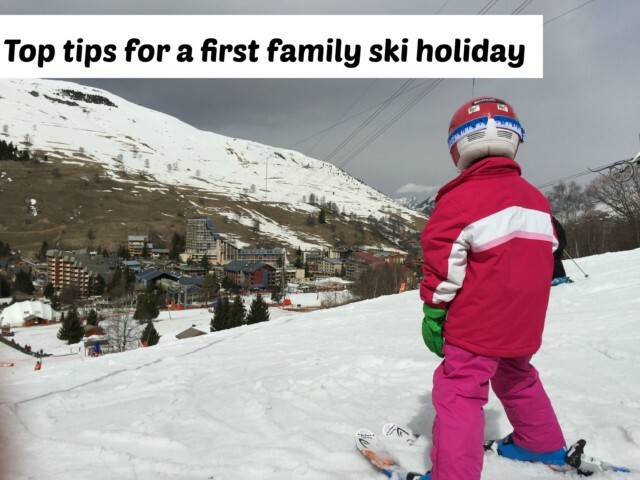 Not sure we will ever really being a skiing family – but I would love to visit for the amazing views and I reckon my boys would be up for sliding down a snowy mountain even if I really am not! cass bailey recently posted..Is it worth paying a bit more for Benefit ‘They’re Real’ Mascara….